General Hospital spoilers tease that the phone call Ava Jerome (Maura West) received on the docks while with her brother Julian Jerome (William DeVry) in March 22nd’s episode of General Hospital could be from Ryan Chamberlain (Jon Lindstrom)! It could have just as likely been a crank call, but it came from a blocked number and when she asked if it was Ryan, Julian grabbed the phone and warned him to never come near his sister again, with the implication that if he did, he wouldn’t live to tell the tale! But that won’t stop Ryan; he WILL come back for Ava, just like he came back after Felicia Scorpio (Kristina Wagner) over twenty-five years ago! Felicia made a good point when she told Ava he probably transferred his obsession from her to Ava! General Hospital viewers know that if there’s nobody, there’s no death in most cases, and the character usually returns sooner or later. Others besides Cassadines have been dead and returned or found alive during the years General Hospital has been on the air, although Ryan holds the record for the longest time between appearances! Anna Devane, (Finola Hughes) Robert Scorpio, (Tristan Rogers) Robin Scorpio-Drake, (Kimberly McCullough) Duke Lavery (Ian Buchanan) Olivia Jerome, (Tonja Walker) Jason Morgan, (Steve Burton) and Julian all were presumed dead and came back or were found alive! 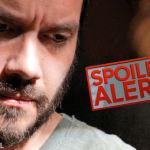 General Hospital Spoilers: No Body Found! There were also just too many references by too many characters concerned if Ryan was really dead or not for him to be really dead! Mac Scorpio (John J. York) and Felicia Scorpio (Kristina Wagner) both talked about not trusting that Ryan was dead until definitive proof was obtained, as did Laura Webber (Genie Francis). Laura was quite adamant after the update meeting about Ryan’s body not having been found and the Canadian and United States police who had been searching for the body had not found it and given up the search that the PCPD should not let down their guard! General Hospital fans are wanting Ava to be able to get revenge against Ryan for killing her daughter Kiki Jerome (Hayley Erin) and having the nerve to go and sleep with Ava the first time right after the murder! However, it almost sounds like General Hospital writers are trying to redeem Ava at the same time because she steered Jason Morgan (Steve Burton) to where Ryan dumped Carly Corinthos (Laura Wright) and kept begging Ryan to let her call 911 for Carly; that’s very un-Ava like! In March 22nd’s episode, Ava saved Kevin Collins’ life from a very angry Griffin Munro (Matt Cohen) who was getting ready to finish him off! Again, a kinder, gentler Ava emerged! But still, as long as there’s nobody, Ryan might be back, and he’ll be coming for Ava! Stay tuned to General Hospital and keep checking General Hospital spoilers frequently to see what happens!